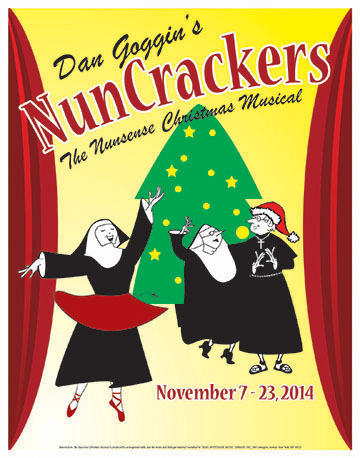 The Nunsense Christmas Musical, NunCrackers, is presented as the first TV special taped in the cable access studio built by Reverend Mother in the convent basement. It stars the nuns you love, plus Father Virgil, and a few of Mount Saint Helen's most talented students. It's the perfect way to ensure that your holiday season is merry and bright!